Christians are often tinkerers. We toy with churches, jobs, relationships and more, but fail to commit to any of them. Many Christians end up stuck in paralysis, indecision and frustration. Meanwhile, we worry that we haven’t found ‘God’s perfect will’ for our lives and desperately try to seek out what that might be. 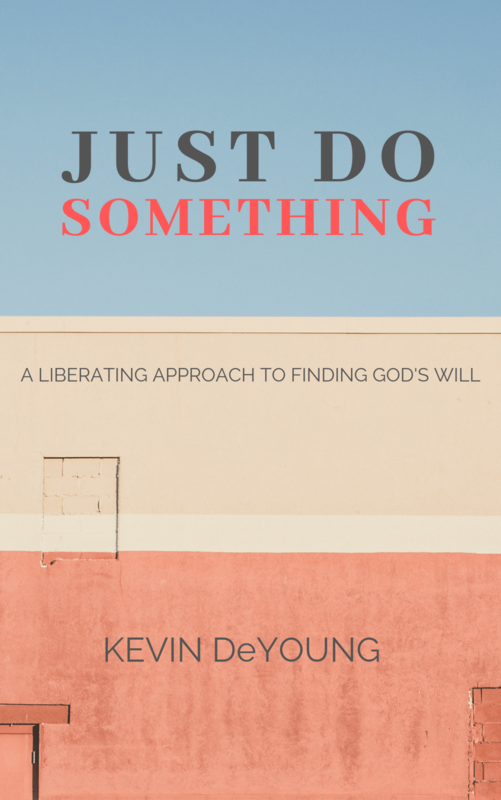 However, we’ve missed one key truth: God doesn’t need to (and certainly doesn’t promise to) tell us what to do at every moment or how to make every big decision. In fact, God has already told us what his will and plan for our lives is. God wills that we listen to and obey his word, that we love him with our whole heart, and that we become more like Jesus as we know and love him. As long as we’re doing those things…we can decide! We can even do whatever we like, released from the burden of seeking God’s will. We can do anything, but to do anything we need to get on and do something. 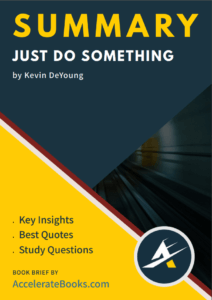 Kevin DeYoung is senior pastor at Christ Covenant Church (Matthews, North Carolina), a congregation of the Presbyterian Church in America (PCA). He is a member of The Gospel Coalition council, and his blog is regularly at published at thegospelcoalition.org. He graduated with an M. Div from Gordon-Conwell Theological Seminary and at the time of writing, is a part-time PhD candidate in early modern history at the University of Leicester, England. His study is focusing on the life of John Witherspoon, a Scottish-American Presbyterian theologian and a founding father of the United States. He has written a number of excellent books including Crazy Busy, The Hole in our Holiness and Taking God at His Word.